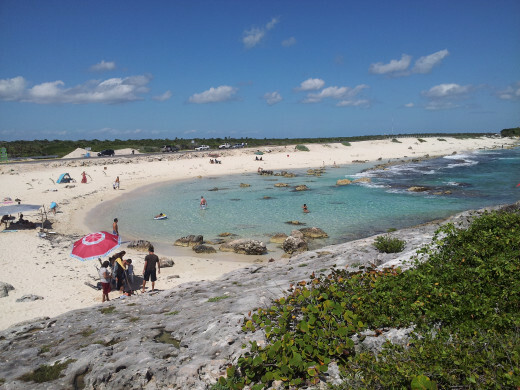 From North to South, Cozumel is 41 km long (26 miles) and 14 km (9 miles) wide. There is approx. 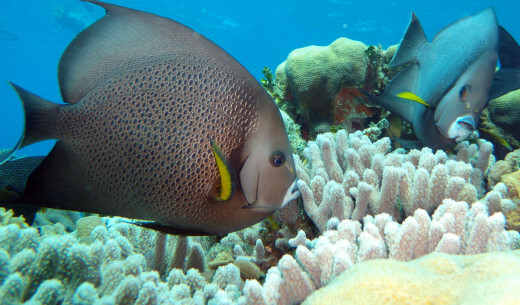 250 different species of tropical fish to be seen in the waters around Cozumel. 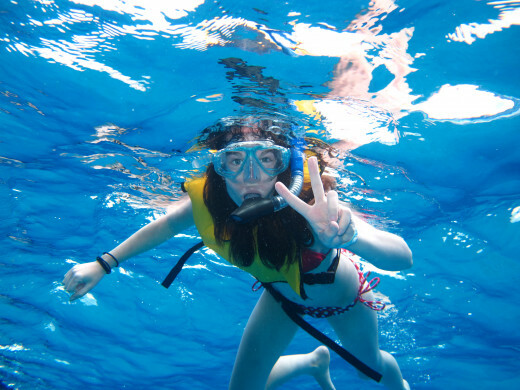 The average temperature in Cozumel is 80 degrees, water temperatures typically range between 70-82 degrees. 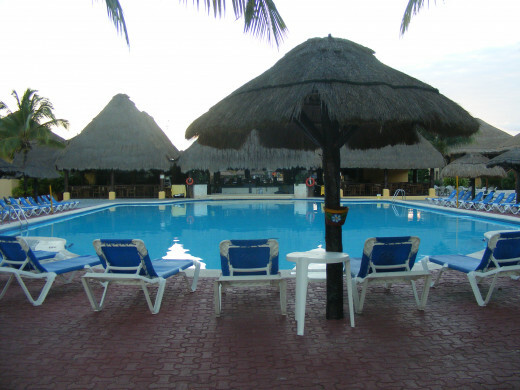 Cozumel is one of the safest islands in the Caribbean to visit. Violent crime in Cozumel is extremely rare. Nestled twelve miles off the coast of the Yucatan Peninsula is the breathe taking Mexican island of Cozumel. 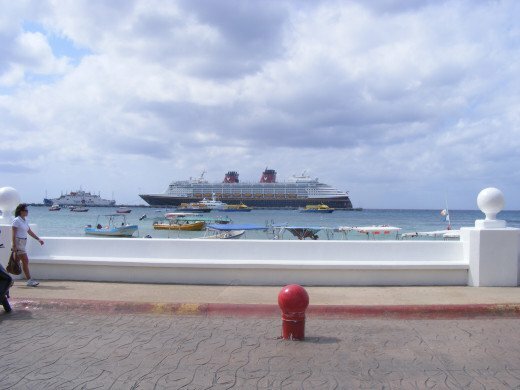 Cozumel is home to one of the busiest cruise ship ports in the world. With almost eight cruise ships docking there everyday and close to one million cruise ship passengers making tracks on the island in between stops each year. There is so much more to the island than it's main boardwalk of gift shops and tequila bars. A quick twenty minute drive from downtown San Miguel, the main (and only) city on the island you'll find a much quieter and calmer side to Cozumel. With only a handful of resorts on the island, it's the perfect getaway for someone seeking refuge from the typical crowded beaches of Cancun or the Dominican Republic. Due to the fact that Cozumel is an island and the native population is relatively low (there are approx. 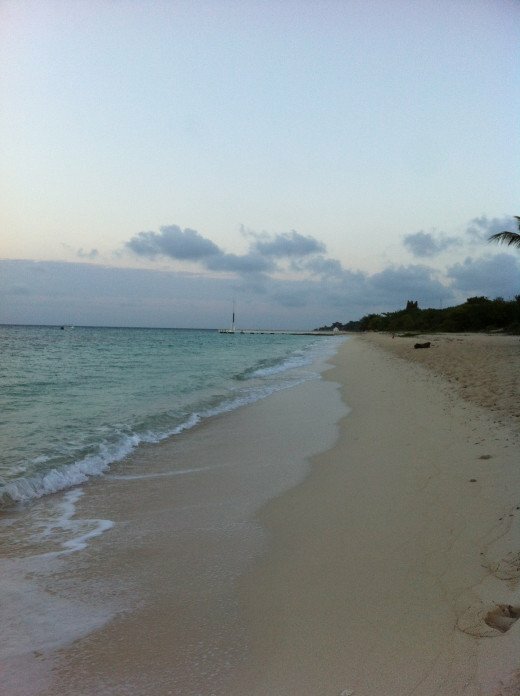 75,000 residents on the island) the crime rate in Cozumel is very low. As with any vacation, you still should take precaution when out and about sightseeing (like limiting the amount of cash you carry on your person, and keeping your wallet in your front pocket), but violent crime in Cozumel is almost non-existent. 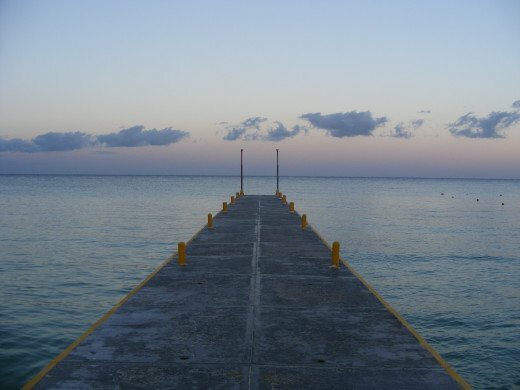 This makes Cozumel an ideal place for exploring. I highly recommend renting a car and exploring the island on your own. Traffic regulations are the same as at home (in North America) just be mindful of all the tourists lolly gagging about on the streets, particularly when in San Miguel. 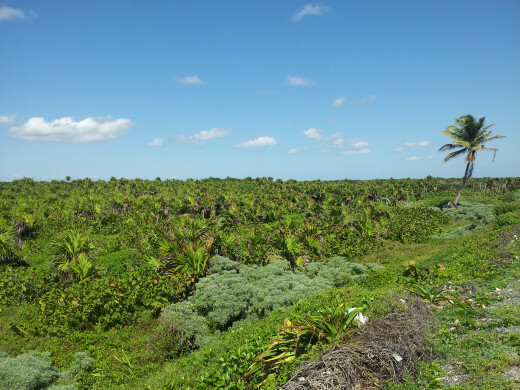 The highway that runs around the entire circumference of the island makes for a wonderful day trip. You can drive completely around the island in a couple of hours. Save for a few thatched roof gift stalls & bars set up along the highway, the eastern side of the island is almost completely undeveloped. 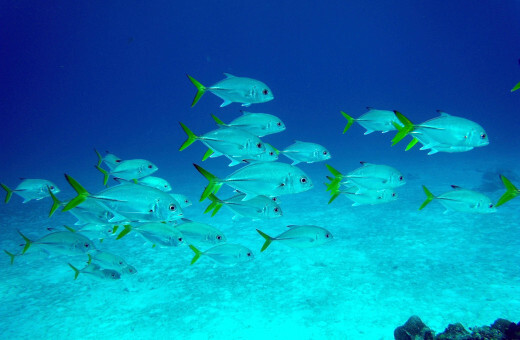 A common misconception about Cozumel is that the island received it's first initial boom in tourism thanks to a documentary by legendary marine biologist Jacques Cousteau. Most travel sites will proudly boast to you that Jacques Cousteau first discovered the island in the early 1960s and featured it in a documentary, thereby increasing the scuba diving tourism around the island. As great of a story as this is, it is incorrect. This misinformation is perpetuated by blogger's, reviewers and even professional travel sites who simply take each other at their word and re-post the same information without verifying it first. 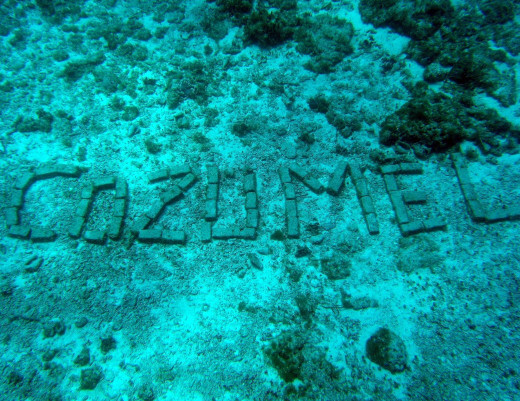 Cozumel was never featured in any documentary by Jacques Cousteau. It was part of a 1956 film by a Mexican director named Rene Cardona, called Un Mundo Nuevo. 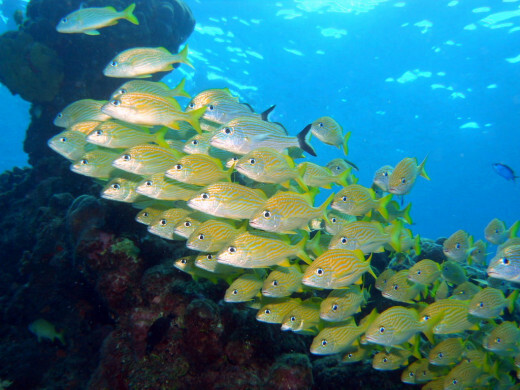 The film was shot under the waters of Cozumel. It was first translated into English in 1957 and broadcast on American TV under the title A New World. Jacques Cousteau did in fact visit Cozumel in the 1960s, but it was well after diving in the area had already become famous. If you have your heart set on seeing the most well known Mayan Ruins like Tulum or Chichen Itza, Cozumel operates a ferry that runs to the mainland every hour. The ride takes about 45 minutes (each way) and will take you into Playa Del Carmen and costs approx. $11 (USD). The ferry is located in down town San Miguel, at the Punta Langosta Cruise Ship Pier. There are many tour excursions you can book with your travel agent or hotel that will meet you in Playa Del Carmen and take you to the ruins. 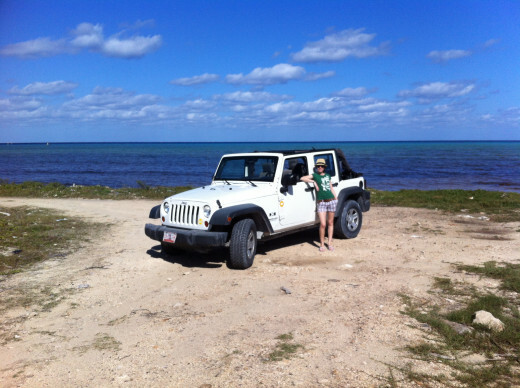 Since my husband and I had rented a Jeep for two days, we decided that we were going to stay on the island and explore. This meant we chose to forgo seeing Tulum and Chichen Itza this time. However, for the cost of the excursions our hotel offered (mucho deniro), plus having to pay for the ferry into the mainland and then provide ourselves with food for the day and losing almost two hours just riding on the ferry, we decided to do things our way (which, is also coincidentally, the cheap way.) 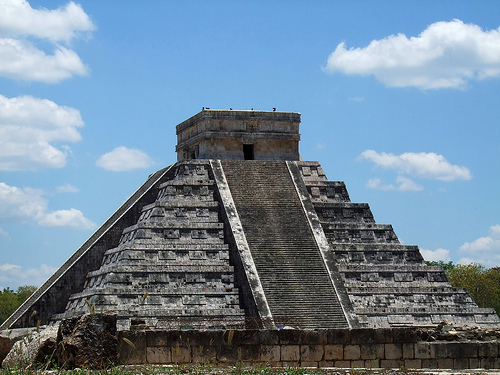 If Tulum or Chichen Itza is on your bucket list, then there are many options to get yourself there via Cozumel, but if you choose not to go to the mainland that doesn't mean you have to forgo visiting the Mayan Ruins altogether. 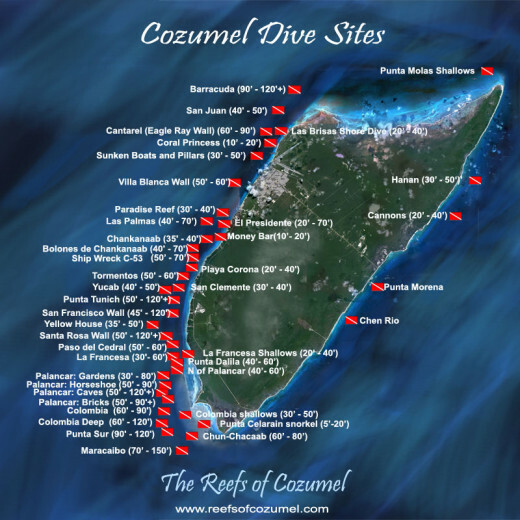 There are currently 24 sites that have been discovered on the island of Cozumel. 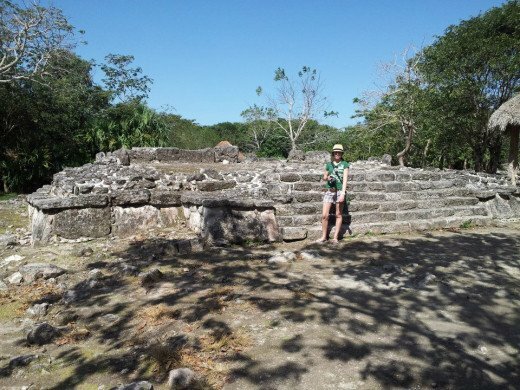 The site most visited by tourists (including this girl) is San Gervasio. 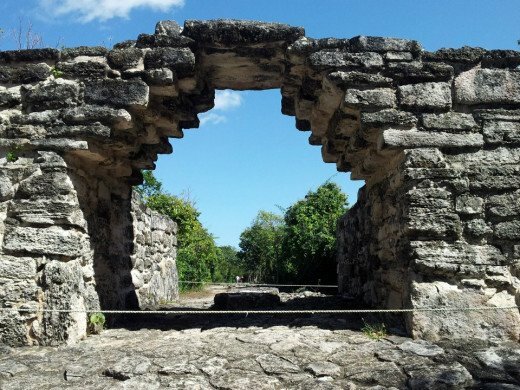 The San Gervasio Mayan Ruin is of particular importance as women from all over Mesoamerica would travel to Cozumel to visit this specific site. San Gervasio is the site where the temple for the Goddess Ixchel was placed. Ixchel is the Mayan goddess of fertility. Every women during Mayan times was expected to travel to Cozumel at least once in her life to provide her offerings to the goddess Ixchel. The San Gervasio ruin is the largest ruin on the island. If you have rented your own vehicle, the San Gervasio ruins are quite easy to find. It's located a mere seven km outside of San Miguel, by way of the Avenida Benito Juarez road. The front desk of your hotel should be able to provide you with a map of the island. The price of admission is surprisingly low (we paid a mere $7.00 USD per ticket). The sites are well maintained and the tour guide was very well informed. There are vendors set up selling trinkets and beverages. You are allowed to bring in your own bottled water, which I highly suggest doing as not all the areas within the ruin sites have shade. 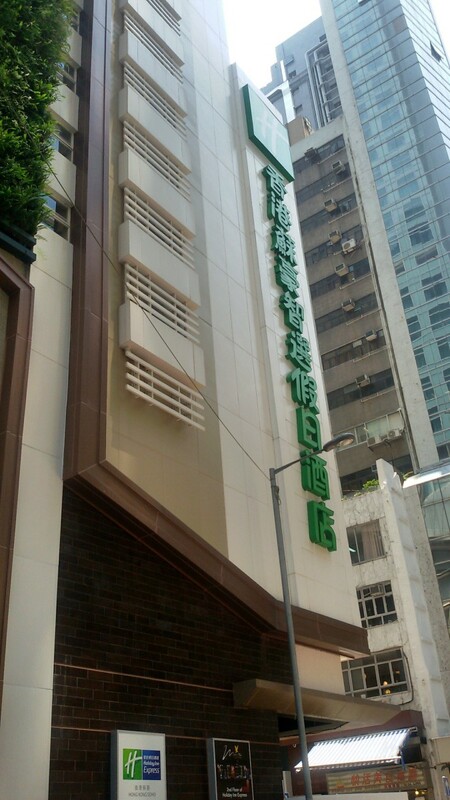 There are public wash rooms available as well, which were very well maintained and clean. Have you visited any Mayan Ruins? Yes, I've been to Tulum and/or Chichen Itza! 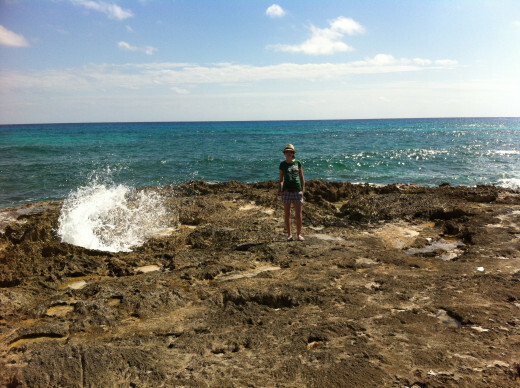 I have been to the San Gervasio Ruins on Cozumel. I have not, but I would love to someday. No, the history of the Mayan ruins doesn't interest me. Planning A Visit to the Mayan Ruins? Thinking of visiting the one of the Mayan Ruins sites? You can check out these web-sites for more information, including prices to assist you in planning your trip. Cozumel Ferry Schedule - Useful if you're planning a day trip off the island. Includes prices and ferry schedule. 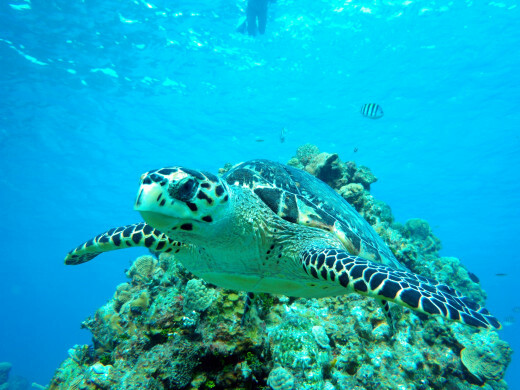 In July 1996, the Government of Mexico established the Cozumel Reefs National Marine Park to help protect and preserve the rich marine life of the island. 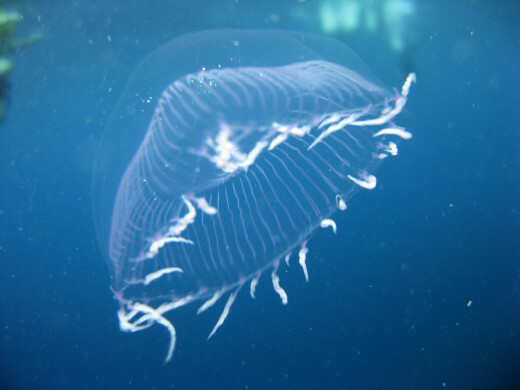 Almost 85% of the waters used as dive sites around the island are considered protected waters. 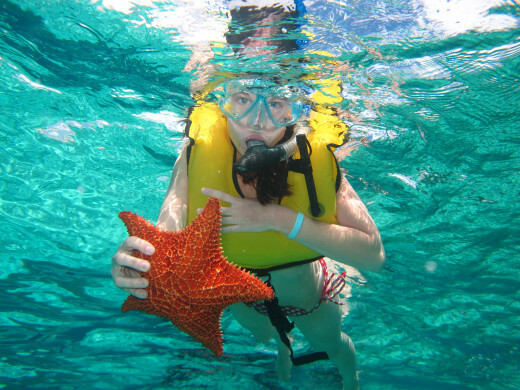 For this reason, Cozumel is one of the most popular diving and snorkeling destinations in the world. Two of the islands all inclusive resorts, The Allegro Cozumel (see below for photos and a review of the resort) and The Grand Cozumel both operate a world class, five star dive centre recognized by National Geographic. 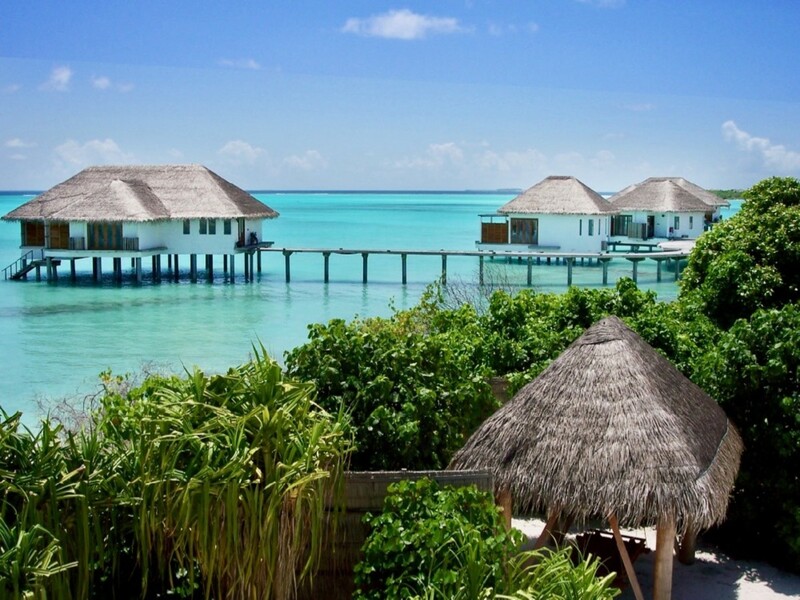 Guests of either one of these two resorts can check out the dive centre located right on the beach for scuba diving instruction, daily scuba excursions and under water photography services. Both resorts are located nearby Palancar Reef, which is considered to be one of the top five diving destinations in the world. For those who aren't ready to try scuba diving, the water in Cozumel is so clear (with visibility up to 200 feet depending on the weather) all you really need is a mask and snorkel to find a wide variety of tropical fish right off the beach. 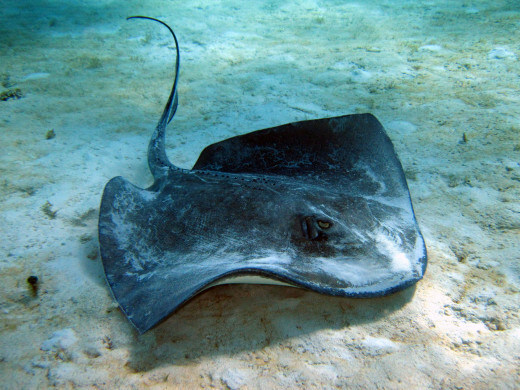 There are currently over 250 different species of tropical fish that have been identified off the shores of Cozumel. Please note: I am in no way affiliated with Chac-Choc Tours, nor did I receive any compensation, directly or otherwise, for recommending them. I am simply a tourist who found their services via my vacation representative and thoroughly enjoyed the services I paid for through this tour operator. When deciding which tour operator to use, make sure to do your due diligence before paying for an excursion. It's very easy for tourists to be taken advantage of by non-reputable tour operators. Research tour operators before you leave home. If you booked an all-inclusive vacation, speak to your vacation representative. They are professionals and know which tour operators provide the best experience for your money, while still ensuring the safety of everyone participating. It is also important for the economy and environment of the destination in which you're travelling to, to make sure you use a reputable tour operator. TripAdvisor.com is an excellent way to research tour operators and read reviews from travellers who have used their services. All meals and snacks are included. An endless array of land sports, games & supervised kids activities. 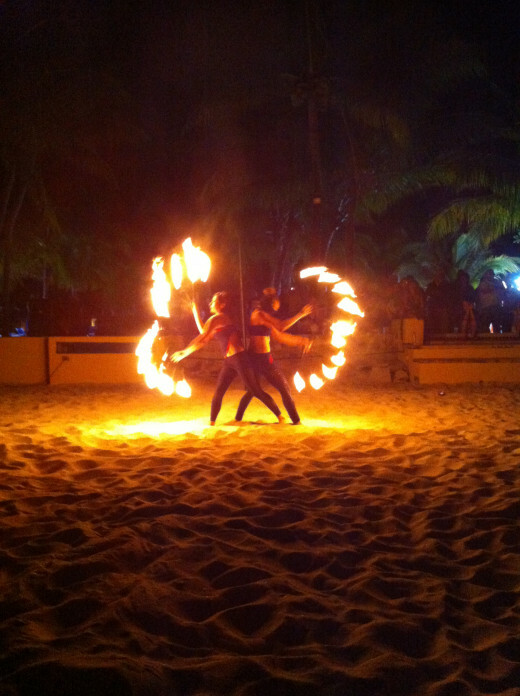 On a previous trip a couple of years ago, my husband and I travelled to the Dominican Republic. 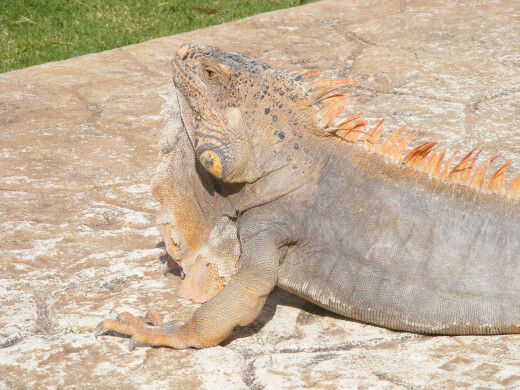 We stayed at the Occidental Grand in Punta Cana. 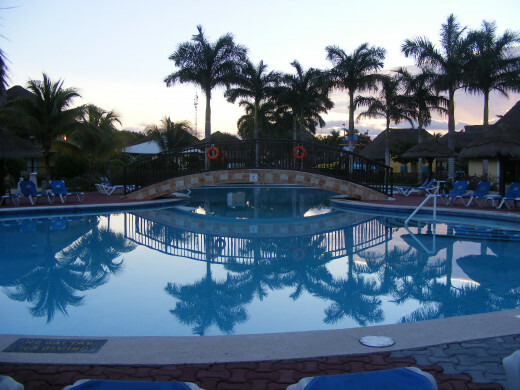 While we were researching Cozumel, we found that the Occidental chain of resorts also operates an all inclusive on Cozumel island. We had such a wonderful stay at the Occidental Grand in Punta Cana, that we decided to stick with this chain and stay at the Occidental Allegro for our trip to Cozumel, Mexico. 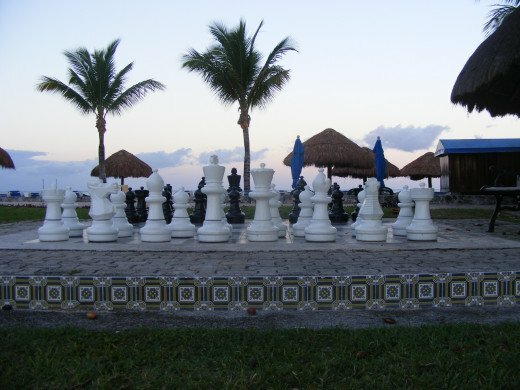 The Occidental Allegro is located on San Francisco beach in Cozumel, which is at the southern end of the island. 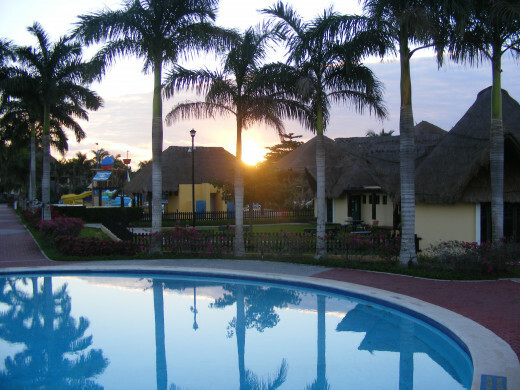 There is only one other resort (The Iberostar) further south on the island. The main cluster of all inclusive resorts and hotels is further north on the island,a good distance away from the Allegro. This provides you with a wonderful feeling of exclusivity. At times Caribbean vacation spots are so crowded it can leave you feeling like you're laying on top of each other on the beach. You definitely do not have this problem when staying at the Occidental Allegro. 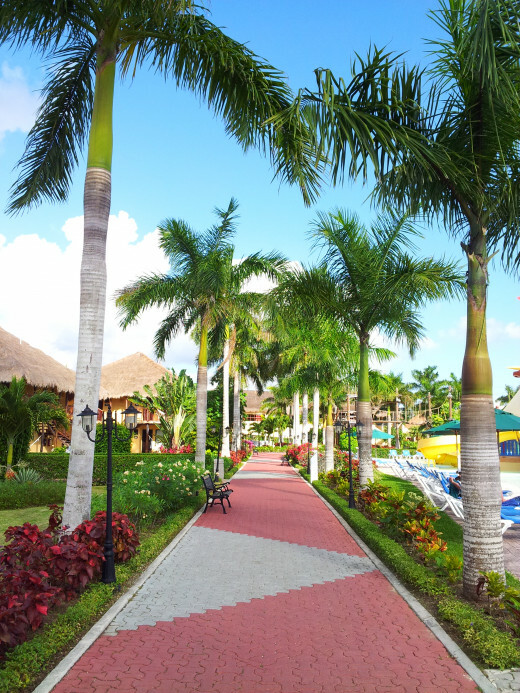 You can walk the beach in either direction for quite a while before stumbling upon another resort. And there were no vendors set up on the beach either. Which is a huge selling point for me. The Allegro's proximity to the airport (20 minute car ride) as well as it's bustling down town (San Miguel, also approx. 20 minutes) means you don't have to travel very far to do some shopping or sight seeing down town. 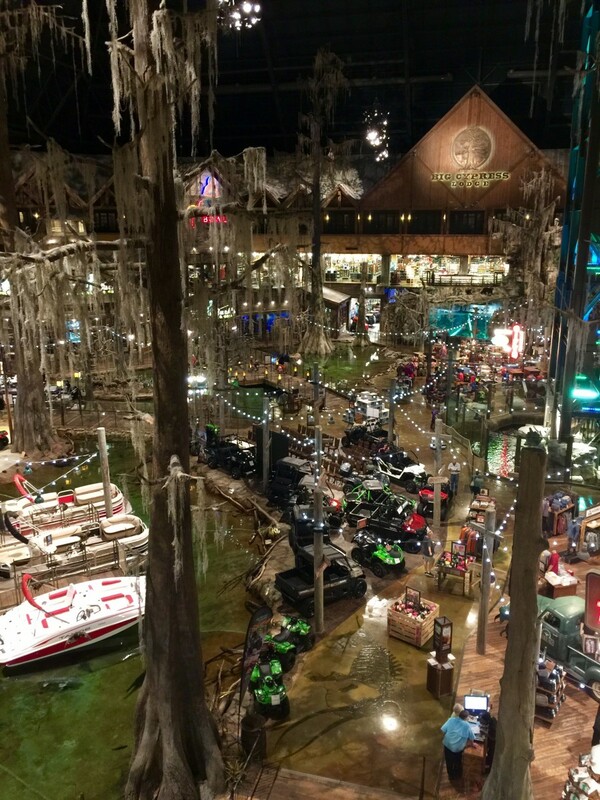 My husband and I wanted to be able to relax without feeling like we were being herded onto the resort by the truckload, but we do like to be able to get up and explore easily if we so choose. On the days when we chose to lounge around on the beach, we felt like our resort was the only one on the island. Standing on the beach looking across the ocean, you can almost see the lights from Cancun and Playa Del Carmen. It gives you the feeling that you've stumbled upon this secret resort that nobody else has discovered yet. My only reservation about the Allegro, was that it is a family resort. This brought images to my mind of screaming kids running all over the place and stressed out parents fighting with each other while I try to work on my tan. What I found instead was the The Allegro provides a perfect mix of family vacation and grown up fun. My husband and I do not have any children, and travelled just the two of us. The Allegro provides many supervised kids activities, as well as a massive kiddy pool with giant water slides, located a safe distance away from the beach and pool bars, so as not to disturb the other guests who were travelling without children.You can see footage of the kids water park at about 1:09 into the video above. 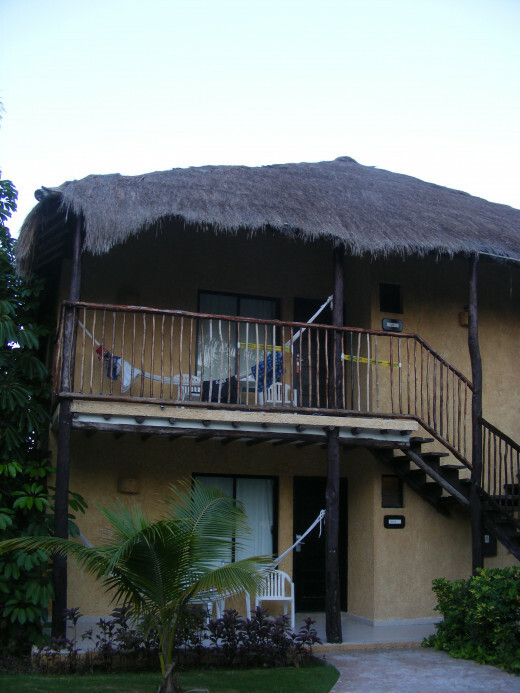 We stayed in a king size room on the top floor of one of the bungalows. It was cool, very clean and quiet. The balcony was the perfect place to relax in the evening after a long day in the sun. 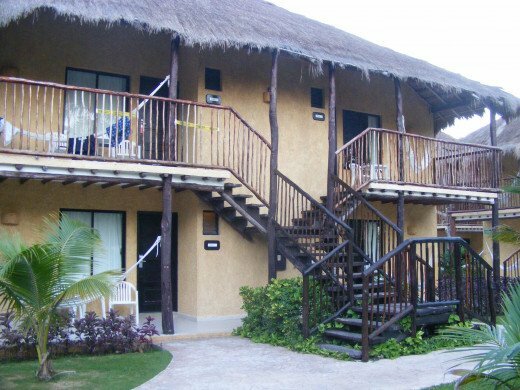 Photos of the resort are included below. 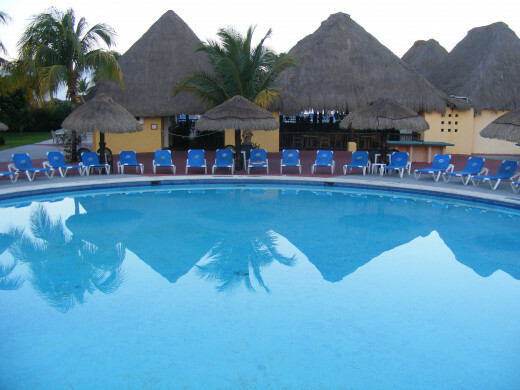 The Official Website of the Occidental chain of hotels & resorts- including the Allegro Resort. That concludes my review of Cozumel, Mexico! I hope you found the information included helpful and interesting. If you're looking to book a beach vacation, I highly recommend Cozumel, Mexico. Please feel free to leave any comments below. If you have any questions about Cozumel that weren't covered here, feel free to post them and I will do my best to find an answer for you. Thank you so much for reading and taking the time to comment. Much appreciated! @Susi- Thank you for your support! 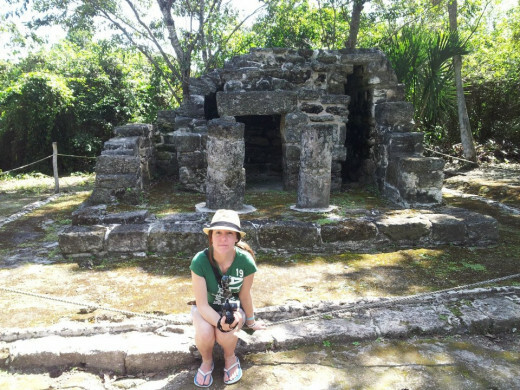 Cozumel truly is a wonderful place to visit, and the Mayan ruin's were such a wonderful experience. I hope you get to see them someday! 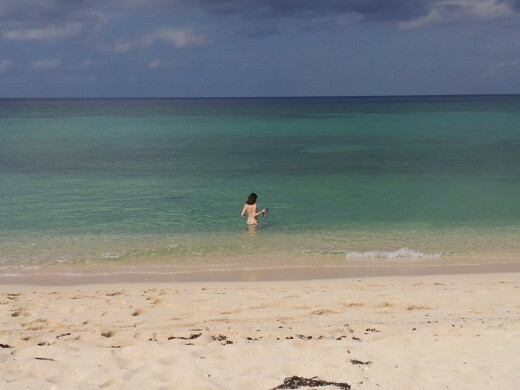 Wonderful travel article on Cozumel. I enjoyed looking at your photos, too. Thanks! You did a great job on this Hub. 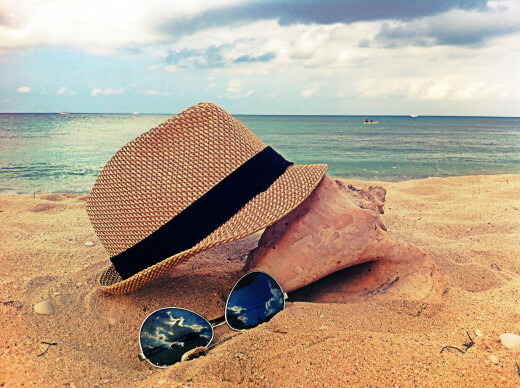 It sounds like a wonderful place to visit - especially loved the image of the hat on the beach. Wow, what a beautiful hub! You have made a fantastic job on this and I enjoyed reading this so much. The pictures are beautiful and I like the way you used your own photos (which are amazing). Cozumel sounds like a lovely place to go on holidays, I might go there some day. I also have an interest in the Mayan's so I could see their ruins as well. Well done on this, Jess. Shared, voted interesting and more. 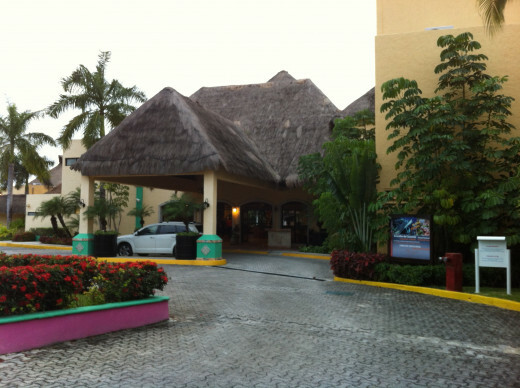 The Riviera Maya was one of our other choices. It was either there or Cozumel. I'd like to check out the Riviera Maya one of these days. I'd really like to see Chicken Itza and Tulum one of these days. My sister and law was there last year or so for a wedding, and she said it was incredibly beautiful. 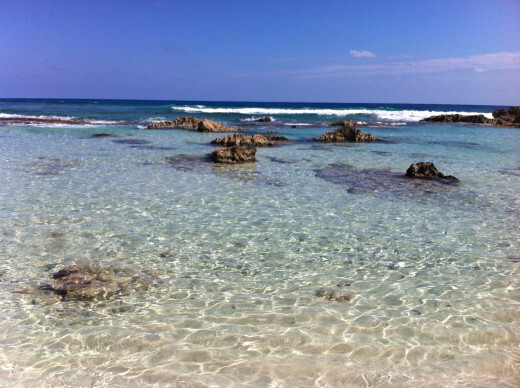 Thanks for sharing your experience in Cozumel!